Hutchison Vale Football Club is one of the most successful teams in South East Scotland, producing so much young talent with many former players involved in international teams now as well as managers. Currently there are 74 former Hutchie players who are playing professionally and 14 ex-players in management. The 11 first team coaches, managers and three assistant managers are spread mostly throughout Scotland and England with one even in the United States. One full time manager is Gary Locke who has been appointed as the permanent manager of Kilmarnock, after being at Hearts since 2010 where he managed to get to the Scottish League Cup final in March 2013. He went to Lasswade Primary school located in Bonnyrigg where he played for Hutchison Vale before starting his professional career at Hearts in 1992 until 2009. Another familiar name is Gary Caldwell who had a 14-year playing career, playing with Hibernian, Celtic and Wigan Athletic where he won the FA Cup after beating Manchester City in 2013. He also played a part in his national team, Scotland as well, racking up 55 caps and being added to the Scotland National Team Roll of Honour. He scored the only goal of the game in Scotland's famous 1-0 win over France in October 2006. After retiring in February 2015 he was appointed as Wigan Athletic in April this year and will lead the team in League One this season. Celtic assistant manager, John Collins, is another name on the list of former Hutchie players. He had a very successful career playing for the likes of Hibs, Celtic (where he became their first million-pound player), Monaco, Everton and Fulham as well as playing for Scotland 58 times including Euro 1996 and the 1998 World Cup. Collins played for Hutchison Vale between 1980 and 1984 where he was Captain for all four seasons before signing for Hibernian where he played for six years. St Mirren’s new manager Ian Murray was born in Edinburgh and played for Hutchison Vale before joining Hibernian in 1999 which led to a 16-year career at Rangers, Norwich and Hibs. He was made managerr of St Mirren after the departure of Gary Teale. He formerly managed Dumbarton for three years until joining the Saints in May. Tommy Wright was a former winger for many different teams, of course starting at Hutchieson Vale before going to Leeds where he went on to many different teams. He made appearances for Oldham, Leicester, Middlesbrough, Bradford, St. Johnstone, Livingston and ending at Doncaster. Wright was the Assistant Manager for Oldham Athletic before following the former first Team Manager John Sheridan to Chesterfield where he was Assistant Manager until Sheridan was sacked and Wright was made the Caretaker Manager. Hutchison Vale is a very good team and with all of their six teams in the 1st division of the SERYFA there could be many more players who go on to the professional game. On Monday the 6th of July, Rangers will be holding a five day Lothians summer school at Middleshot Square in Prestonpans. Vince and Susie Raeburn of Youth Football Scotland will be going along to provide coverage of the day. The Rangers FC website describes the course, saying: “Participants will receive expert coaching and take part in warm ups, training drills, games and exciting tournaments to showcase their new skills. “Courses are open to kids aged between 5-16 years, whether you’re just starting out or training to be part of the first team! Participants will be suitably grouped together under the guidance of highly qualified Rangers coaches to progress individual abilities. Develop skills, meet new friends, get outside but most importantly have fun in a safe environment. 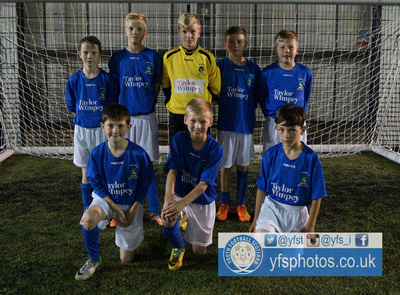 The Saltire Soccer Centre in Dalkeith was the venue for this years Mayfield & St Luke’s Friendship Shield match. The end of season event which has been running now for nine years sadly saw two of the four teams participating withdrawing from the event. This certainly did not dampen the spirits of both the Mayfield Primary and Burnbrae Primary players who took to the field to face each other hoping to be crowned Mayfield & St Luke’s Friendship Shield winners 2015. The format of the match was 7-aside made up of two 25 minute halves with each team being made up of a mixture of pupils from p6 & P7. The game itself was a real cracker with some fantastic football being played by both teams in a very competitive game. Great goals, wonderful saves, lots of goal mouth action and some wonderful skill meant you could not take your eyes of the game or you would definitely miss something. Mayfield got the game underway and were two ahead in two minutes when Rian put them in front when his shot came of the left hand post and in, then a corner in from the right by Fraser crashed off the Burnbrae player, finding the back of the net for number two. Both sides came close again with shots going wide from Mayfield’s Jordan and Burnbrae’s Mark after good set up play from Lewis F and Lewis M. Mark reduced the deficit on 10 minutes when he got a goal back for Burnbrae firing beyond Craig in the Mayfield goal. Mayfield restored their two goal lead on 12 minutes when Rian got his second of the game when his shot took a deflection to wrong foot Reece in the Burnbrae goal. The game was end to end stuff with both teams playing good football and the deficit was reduced again on 15 minutes when Mark claimed his second of the game to make it 3-2. It was goals galore with Mayfield opening up a two goal gap again a minute later when Corey-Lee played a great ball forward which was brilliantly controlled by Rian, who then lashed the ball home for his hat-trick. They further increased their lead just before half time when Rian collected his fourth and Mayfield’s fifth of the game after latching onto the ball after Reece made a fine save from Christopher. Into the second half and Burnbrae had a lot to do after going into the half three goals behind. They came close to getting one back on 29 minutes with Lewis F’s shot just drifting wide of the left hand post. A minute later and Reece was picking the ball out of his net again after Jordan made it the half dozen for Mayfield, leaving the keeper with no chance with a fine finish. Mayfield then went on a goal rush scoring a further four goals in a five minute spell. Rian incredibly claimed his fifth goal of the game with a great finish finding the top far corner and then with a quick brace in a minute he collected his sixth and seventh goal of the game. Reece was fantastic in the Burnbrae goal making save after save to stop Mayfield being well into double figures with 10 minutes still to play. Football is a funny old game with a eight goal advantage and the game seemingly out of sight for Burnbrae, Mayfield were subjected to a late rally from their counterparts. A great finish from Lewis F, lashing his shot into the top corner on 47 minutes got the ball rolling for Burnbrae. He then followed up with another fine strike a minute later to reduce the deficit to six and then completed what was an amazing three minute hat-trick a minute to further reduce the goal difference to five. What a come back from Burnbrae and they were not finished off yet. Robbie with the last kick of the ball brought the score back to a respectable 10-6, which was certainly more reflective of how the game had went. A fun penalty shoot out followed with both sides scoring some crackers, alongside some wonderful saves from their keepers to make sure it finished all level on the spot kick front. Mayfield Primary School squad: Craig, Fraser, Corey-Lee, Rian, Blake, Lewis, Christopher, Josh (c), Jordan and Rohan. Burnbrae Primary School squad: Reece (c), Lewis M, Mark, Brendan, Robbie, Lewis F, Daniel and Ben. After all the excitement and exertions of what was an enthralling game, both teams retired to an adjoining room for the presentation, a bite to eat and something drink. Mr Jamie Dougal from Burnbrae Primary thanked Mr Wood, Deputy Principal of Mayfield and his team for coming along to participate and complimented them on the quality of their football. He then thanked Kenny Atchison for giving up his time to come along and referee the game, followed by a thank you for Keith Wright, Football Development Officer for Midlothian Council for his help. Head Principal of Burnbrae Primary then thanked Mr Dougal for all the work he had put in on the day but also the time he put in to organise the event. Burnbrae, who had won the trophy the previous three years were first up to receive their medals. Then it was the turn of Mayfield to come forward to receive their medals and lift the Shield for the first time in four years. The principal reason behind the event is to bring pupils from different communities together for a fun day playing football and meeting new people. When asked about his thoughts on the day, Teacher and event organiser, Jamie Dougal replied, “It is an event we really forward to and the boys are always up for it. The action today was absolutely brilliant and I thought it was a close game, obviously Mayfield ran away with it a little at the start but I was really proud of the Burnbrae boys and how they came back into the game showing real determination." He continued, "It's nice to see kids being active and taking part, playing football with one another, it's is just a really positive event. One of the reasons for the event is so that kids can make friends with other kids from different communities and come together. The spirit between the two teams was absolutely brilliant and this was emphasised when the Mayfield captain came over to our keeper praising him on his great saves which is great to see amongst young lads." Lewis F, Mark and Lewis M from Burnbrae Primary all expressed how much they enjoyed the day and how they had been looking forward to playing in the event. Mayfield Primary School's Deputy Principal, Mr Wood when asked about his views on the day he said, "It's a great event that has now been going for many years now and the boys are always asking me, when's the shield?, whens the shield?. They all know it's about this time so they have been harassing me about for the last few weeks." Mr Woods carried on, "It has been a great occasion today and with us not having a school football league, although we do attend SFA festivals this is something we enjoy and we have kept it going over the years between certain schools. People really keen on football in these schools get together, holding something like this which is a bit different. So overall its great from my point of view." Mayfield's team captain, Josh was full of praise for his team stating, "I thought it was a great all round performance today from all the lads, a great turn out and we played some incredible football." On the event itself he added, "It is something we always look forward to and it is the highlight of the football season." The next generation of Hearts stars have pledged their future to the club with five Wee Jambos signing professional contracts. Callum Morrison, Kelby Mason, Leon Jones, Lewis Moore and Daniel Baur have all made the step up to full-time football after penning pro deals at Tynecastle under the watchful eye of Director of Football Craig Levein and U20s Player Development Manager Jack Ross. Speaking exclusively to Hearts News about the youngsters coming on board, Jack said: “It’s exciting for them. We had a conversation with them all quite a while ago about having the opportunity of coming in full-time and they’re all delighted to get that. “It’s probably been a long time coming for them to come in and officially sign and they’re looking forward to starting over the next couple of days. It’s exciting for them and hopefully the start of a long career with Hearts. “We were fortunate over the course of the season to see them all play, not just in the academy but in the U20s. Al lot of them had game-time with U20s, which was challenging for them because they were playing above where they probably could’ve been at that time, but I think they gained invaluable experience from it. “It allowed us as a coaching staff to assess them and we had them in often during their school holidays and so on, so that allowed us to see them within the training environment. “They all have different qualities and they’re all at slightly different ages and probably at different stages of their career, but you always get surprised by one or two and you look forward to seeing how they adapt to the full-time environment because it is demanding. “It’s been a relatively short period of time in football for our new structure to come into place but I think in that time we’ve managed to create a message within the club with what we’re hoping to do with the players that are here and the players that we bring through, and I think that will fall through the academy. Hopefully the players recognise that and, after speaking to them and their parents over the past few months, they know what’s expected from them. “It’ll be different for them, undoubtedly. For us who are around the club every day you can get kind of blasé about being pitchside but it’s such a big thing for them to come in and experience this kind of thing. It’s also a huge incentive to have the opportunity to maybe come here and play at first-team level, it’s a fantastic carrot for them to have. “Last year was a difficult period because the focus was very much the first-team, which will always be the priority, but last season the priority was very much to try and win the Championship. This year we’re now fortunate to be in the position where we can recruit more players and there will be more of a squad, as such. “There will be challenges throughout the season; players going out on loan and players moving up to be involved with Robbie, but it should allow us to give them an every greater opportunity. Last year was challenging for them as well because we expected a lot from them and they complimented and helped the first-team in a lot of ways. Hibernian can confirm the following Academy players have progressed into the Development squad for the 2015/16 season – Ben Stirling, Kevin Waugh, Oliver Shaw, Alasdair Smith and Adam Watson. Academy Coaching Manager Eddie May believes the players have merited the opportunity to step up from the under-17s into the full-time Development squad. May said: “Overall this is very positive news – all these players stepped up to the mark over the course of the season and demonstrated their true worth to the squad. “They did well at under-17 level and continued to excel when given the opportunity to play for the Development squad. May said: “Ben came into the Development squad last season and did very well – he is capable of playing in a number of different positions; right-back, centre-half or in midfield. “He plays for Scotland under-17s in midfield and has the capability to play at a very good level. May said: “Kevin can play either left-back or left centre-half and a lot of people at the football club believe he is best suited to the latter position. “Joe McBride was extremely happy with him whenever he was given the opportunity to feature for the Development squad last season. May said: “Oliver can play as a centre-forward or just behind in the ‘number 10’ position. “He is very quick and very slight, but he’s got fantastic natural ability and he isn’t afraid to make mistakes. “He scored a lot of goals at under-17 level and he’ll be aiming to build on that with the Development squad during the upcoming season. May said: “Ali plays a deeper role in midfield – he’s very physical, athletic and can use the ball well. “During the upcoming season, hopefully he can use all his attributes and move forward. May said: “Adam is an attacking midfielder, who can play off the front at the top of the diamond. “He has got great ability, takes people on and makes things open up in the final third. Again, Adam has got a fantastic attitude and just wants to learn. Midfielders Jack Breen (born: 11.6.1999, Bellshill), Callum Donaldson (born: 22.10.1999, Edinburgh) and Fraser Murray (born: 7.5.1999, Glasgow) have all signed pro contracts, but will remain part of the under-17 squad before going full-time with the Development squad next season. Leith Athletic under-21s performed magnificiently this season, bringing home four trophies including the South East Region YFA Division 1 title. 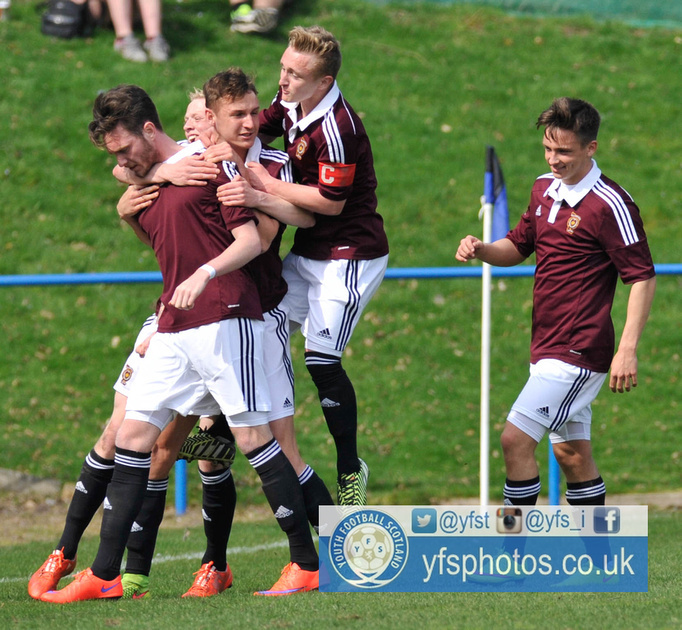 They saw off stiff competition from Tynecastle FC, who finished three points behind them. "The team has been fantastic this season. We went close to winning the league last season, but we went a step further this season along with retaining the Sports Asiist South East Region Cup down at Dunbar. We won the William Johnston Cup and retained the William Bauld Trophy from last season. So four trophies was an excellent achievement," head coach Steven Chalmers told Youth Football Scotland. "Both league games against Tynecastle I would say were decisive. Towards the end of the season we lost league games against Tranent and Edinburgh University and being 2-0 down against Musselburgh Windsor with 15 minutes to go. Many would think that our league challenge would be over but we showed a lot of character to get ourselves back into the game and drew 2-2. So I would say that one game was a really decisive match in the season." Chalmers made sure that complacency was not a factor in Leith Athletic's season. When asked what the team had learnt this season, he said: "To treat each opposition you face like they are league champions. Give them respect. Don't underestimate anyone and never give up." A star striker is vital for any team competing for silverware, and Leith Athletic have exactly that. "Every player in the squad has played their part and contributed to the success we have had. Our striker Steven Froude scored 58 goals in 38 games. Other players such as Alan Murray, Callum Man, Euan Morrice and Kevin Hamilton had a say in various games throughout the season," Chalmers said. As for next season, Leith are able to call on the majority of their squad as they look for more silverware. "The difficult thing about under-21 football is it's a constant cycle of rebuilding. We lost eight players due to being overage. But we are able to keep a core of the existing squad and will look to strengthen further in the hope of repeating the success of the last two seasons," Chalmers said. Congratulations to Leith Athletic under-21s, 2014-15 South East Region YFA Division 1 champions! 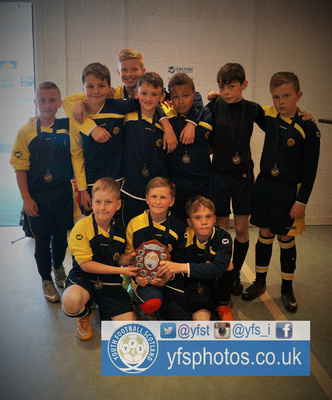 Preston Athletic YFC held their annual football festival over the weekend of the 13th &14th June which proved to be just as successful as those held over the previous years. Like any event on this scale the amount of planning and organisation is immense and if not for those volunteers who were willing to gave up even more of their free time and input, events like these would never get of the ground. Everything from setting out the pitch, organising the tombola/raffle stall, putting up the gazebo which housed the barbecue and stalls which were laden with a wide selection of snacks and drinks (non- alcoholic of course). The hard work getting everything up and ready for the arrival of the teams would have gone un-noticed by those entering Middleshot Square to the wonderful aroma wafting from the barbecue. The weekend would see the Saturday comprising of 4-side, 5-aside and 7-aside fixtures spread throughout the day. The 08’s & 09’s kicked the days activities of around 9.30am when they played each other in 4-aside games which ended with a presentation, each player who had taken part was presented with a medal to remember their day by. After the 4-aside teams had vacated the pitch the 4 aside goals were quickly replaced with the new style 5-aside goals ready for the 07’s to take to the pitch around 11am. The 5-aside game which has been added to the SFA player pathway is a very new concept being tried out by teams in the South of Edinburgh and down the East coast although it has been played for a while by teams in West Lothian. Teams from the home club, Liberton United, Bonnyrigg Rose, Dalkeith, Fernieside, Loanhead, Lothian Colts and Hillfield Swifts were all represented in the 07’s section and seemed to have grasped the new format pretty well. The game now allowed for a permanent goalkeeping position which would seem only logical before moving into the 7-aside format. Like the age group previously each player who had taken part was presented with a medal to remember their day by. Next it was the turn of the 05’s age group who again after a quick turn around, seeing the 5-aside goals being replaced by the standard 7-aside goals ready for the next instalment. The 7-aside teams were split into two groups with the winners and runner ups of each group proceeding to a semi final. Group A included teams from Preston, Edina Hibs, Lasswade and Beechwood whilst teams representing Preston, Tranent and Penicuik made up Group B. Unfortunately a second Edina Hibs team had to pull out on the day leaving Group B with only three teams. After two very competitive group sections, both Preston Athletic sides along with Edina Hibs and Tranent Colts progressed to the semi finals. Unfortunately for the host club, both their teams succumbed to defeats at the semi final stage at the hands of Edina Hibs and Tranent Colts respectively, with Edina Hibs coming out on top defeating Tranet Colts 3-0 in the final. The volunteers at Preston Athletic should give themselves a huge pat on the back as they made sure the day ran like clockwork with the turn around between each age groups fixtures going very smoothly. A visit to the barbecue tent was needed on numerous occasions throughout the day for the roving reporter, not only for one of the delicious burgers but for a heat on what was a very cold day in June. Once everyone had left after a great day of football it was all hands to the pump to start the job of clearing everything away to get ready for the Sunday. Everyone heeded the call and many hands made light work although it always seems to take half the time to take things down than it did putting them up. Day two was a bit of a quieter affair with Preston Athletic's 1999's & 2000's playing one of games against Cockenzie Star and Musselburgh Windsor respectively. Cockenzie Star came out on top in the 1999's clash comfortably defeating Preston Athletics U16's 4-0 in normal time. Preston Athletics came out on top in the 2000's clash defeating Musselburgh Windsor in a five goal thriller 3-2 after scoring a extra time winner. Both winning teams were presented with the Civic Weeks Shields for their age groups with each player received a medal for taking part on the day. A great day that was thoroughly enjoyed by all those that attended and by those who took part on the day to bring a very well organised 2015 football festival to an end. Preston Athletic YFC would like to thank all the sponsors who helped make this event possible, the teams for attending and all those who helped in what ever capacity, large or small to make sure the weekend was a resounding success. Here's looking forward to 2016 already. It was a season of statistics for Edina Hibs CFC U14’s as they convincingly navigated their way to the SERYFL Division one title. Usually when a team accumulates a large number of these positives statistics, it means only one thing. They are on form and on route to success. That was indeed the case for Edina Hibs CFC as they managed week after week to stack wins on top of wins accompanied with goals and star performances. They took maximum points from 16 out of 18 games, conceded only seven times in the league and had six players who scored over ten goals throughout the season. A surge of confidence and optimism undoubtedly lead the Edinburgh side to clinching the league title. Club chairman Scott Bonar openly admitted that winning the league title was not within the season ambitions for the squad, so you can imagine the delight, not only of the players but the coaching staff, parents and the club itself when Edina Hibs CFC powered to the league title. “Winning the league this season meant so much to the boys, at the beginning of the season no one would have given the squad a second thought for winning the title. We were a fair bit behind other teams such as Hutchie Vale, Newcraighall however as a group we knew we hadn't scratched the surface in terms of developing the players. We worked very hard the first 12 weeks of the season on various aspects of the game and although at times the players found these parts of the game not as exciting to learn, they certainly were the catalyst for the boys to record so many fine victories.” Bonar said. The team agonisingly fell to defeat only once during the league campaign which was on the opening day of the season, and ironically the game in which they were defeated, they scored the only goal of the game. The squad of players then went on an incredible run of 17 league games without defeat, brushing aside the other nine contenders to inscribe their name on the trophy. Scott Bonar echoed his delight with the players. “The only defeat was on the opening day of the season. A narrow 1-0 loss due to an unfortunate own goal. To then go on the run the boys did is testament to how good they are as a team and how much they had taken on board and improved as individuals. There is a special team spirit within the group and the 17 players in the squad are most definitely all in it for each other.” Told Bonar. There are always moments throughout a season where the game that we love throws up miraculous situations and title winning sides always experience these. Edina Hibs certainly did and Scott Bonar reflects on two games in which it almost seemed as if his squad were destined to win the league. Lifting a league trophy and especially a Division one trophy is every reason to revel in your own glory and those involved should be allowed to celebrate and know just how proud of themselves they should be. “To win the title is the reward for a squad of boys who played some outstanding football throughout the season, coupled with a tremendous togetherness and willingness to learn whilst making friends for life to throw into the bargain. We always stress to the players to strive to become better and every time they improve they are winning. The league championship medal now takes its pride of place to show all that hard work has made them the best team in Edinburgh.” Bonar told Youth Football Scotland. Although football is the sport that keeps many people’s hearts beating and provides the power for the earth to revolve around the sun, there are other things to life other than football (as reluctant as we are to admit it). Edina Hibs CFC keep this very much in mind are all about not only teaching their kids to play football but to prepare them for future life experiences. “The boys should take a lot of what they have learned this season about themselves and take those lessons into their adult life's, always knowing that if you want anything out of life, always look inside and hard work is all in their grasp to achieve whatever they want or strive to be.” Scott Bonar explained. After winning the league trophy within the highest division, many would say that the team has reached the zenith of its footballing life and quality. However Edina Hibs CFC and club chairman Scott Bonar are not everybody and they believe there is still room for improvement. 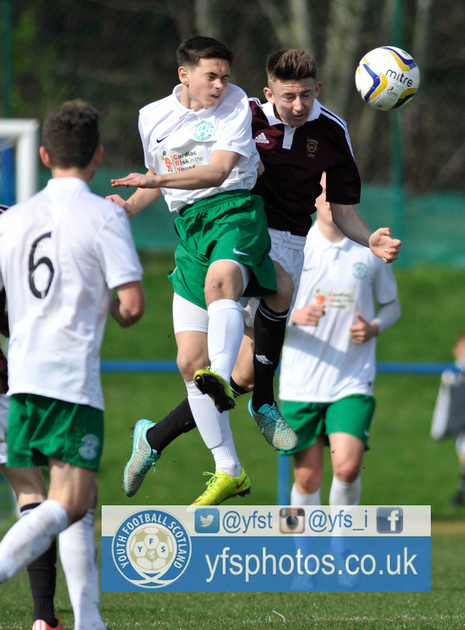 Congratulations to Edina Hibs CFC, SERYFL U14s Division one champions. Bonnyrigg Rose Colts U13’s were the team on everybody’s lips during the 2014-15 season and, due to their magnificent performances, clinched the SERYFA Division Two title. “The Invincibles” was the name given to Arsenal when they secured the Premier League trophy after an unbeaten season, however, 11 years on and it’s another team in red and white, Bonnyrigg Rose Colts, who now have the right to call themselves by this laudatory title. The second division side managed to manoeuvre their way through the campaign without succumbing to a single defeat. No small achievement, which is furthered by the fact, Bonnyrigg Colts were one out of only two teams across all the SERYFA divisions and age groups to remain unbeaten. "It was a remarkable achievement to go throughout the season undefeated but what made it even better for me was due to the fact the team also had success in cup competitions we were always playing catch-up in the league and had a huge back-log of games to play. In the last month of the season the lads had to play 11 games in 30 days. 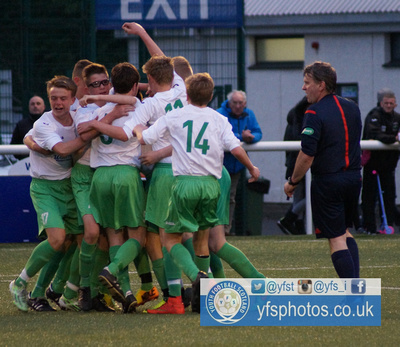 So to maintain their focus and win so many games in such a short period of time certainly made it sweeter when the boys finally achieved enough points to clinch the league title," coach John Quinn told Youth Football Scotland. What makes the achievement of winning the league even sweeter is the fact that it was the team’s first season at 11-a-side and Bonnyrigg Colts excelled where so many others fail, and being able to secure a league trophy at such a young age is the ultimate confidence booster. "I'm sure it means a lot to the lads to be crowned Champions and it's a perfect reward for all their hard work and effort they have put in throughout the season. Hopefully now they've experienced how it feels to win the league and play in a cup final which will give them the inspiration to continue to work hard and once again hopefully achieve success in the future," Quinn said. Everyone looks up to successful teams and try to emulate the unique tactics that have proved to be the key to their success. Many have tried to replicate the “Tika Taka” of Barcelona or the fast paced, dynamic football of Bayern Munich. Can we add on Bonnyrigg Rose Colts to that list? Quinn certainly thinks so. “Without a doubt the key to our success was having a strong and effective squad of players, not just in the starting 11. Throughout the season we have been fortunate to be in a position where we didn't actually know what our strongest starting 11 was, which was a great headache to have. So many times in games we were able to make changes that never weakened our side, in fact many occasions the changes made us stronger so this was certainly an obvious advantage to us in many games we won throughout the season,” Quinn said. Being crowned unequivocal champions of the Division Two comes with a prize of leaping up into the top division, giving the boys a chance to compete amongst the biggest and best clubs across the South East region. After such a compelling and credible campaign in Division 2 it now lies with the team and coaches of Bonnyrigg Rose Colts to do themselves proud in the highest division. “Our aims for next season will be the exact same as it was at the start of this season. We will prepare the boys pre-season to go out, play football, pass & move the ball and develop in their game but most of all enjoy the new challenge of division 1 and as long as they continue to do what they have been doing this season they will more than hold their own against these stronger teams. This is a challenge I'm sure our boys will relish,” Quinn said. Congratulations to Bonnyrigg Rose Colts, Under-13s SERYFA Division Two champions! Spartans FC Youth won the SERYFA under-19s Division 2 this season, beating nearest rivals Newcraighall Leith Vics by a single point. They won 16 out of 20 league matches to round off a brilliant season for the North Edinburgh team and head coach John McLean laid the foundations for the success early in the summer. "At the beginning of June 2014, myself as head coach and my colleague David Hiddleston trialled a number of players in the hope that we could make a serious challenge for promotion from SERYFA Division Two. As things turned out this great bunch of players strove to develop their own skills and their ability to work hard as a team, McLean told Youth Football Scotland. "After an early set back losing our second game which should have seen the three points come to Ainslie Park the team increased their efforts winning a number of games and the belief grew from there. They secured top spot on November 1st and stayed there until the season's end. "Skill, teamwork, strength in depth of squad, determination and good organisation have been the keys to not only our league success but in achieving two cup final appearances." Congratulations to Spartans FC Youth, 2014-15 SERYFA under-19s Division 2 champions! Back in August, 13 teams were preparing for a new campaign in the Under-13 SERYFA Third Division and all were eyeing that top spot to secure promotion. Coaches prepared their players for the step up to 11-a-side and ultimately promotion would come down to the team that adapted best to the new size of pitch and pace of the game. That team was Tranent Colts FC. After a gruelling eight or so months in which games were contested in rain, wind, sleet and snow, (there’s definitely a case for summer football here) It was East Lothian side Tranent Colts who were to be crowned third division champions by an impressive eight point lead over nearest challengers Edinburgh South FC. The step up to 11-a-side football can prove to be a barrier so great that many teams cannot overcome it, however Tranent Colts led by example and showed the rest of the league that the transition can be completed smoothly and proved this by taking an astonishing 69 points from their 24 league games. "We are very proud of the boys to have won so many games. One win led to another and so on, in truth we were all delighted, which was a good sign for us coaches. We were all gutted when we lost our first league game," Purves told Youth Football Scotland. Winning silverware is any players dream at any level, whether it be at 13s level or at the world cup and the Tranent Colts FC boys have had that chance at just their first season at 11-a-side. As you can imagine all were delighted to be involved with a championship winning team. "We are absolutely delighted for the way the season turned out and to lift the trophy, it’s a fantastic achievement for all players, everyone involved with the club is over the moon and in summary it had simply been a wonderful season for all," Purves said. Now that the third division has been won the team and coaching staff can start planning and preparing for what will be another tough season, especially in a higher division, however Purves believes his side are capable of doing it all again, saying: "Next season will be the same focus as last. We want to win the league again. [We] lost a couple of players to initiative but confident we can give the others in the league a good run for the title." Congratulations to Tranent Colts FC, Under-13s SERYFA Division Three champions 2014-15! North Merchiston 15s won the South East Region YFL Division 2 by the narrowest of margins. After battling all season with Bonnyrigg Rose, they both finished on 67 points. It was the head-to-head result that separated the teams with North Merchie winning their encounters by an aggregate score of 9-8. Up until the final stages, four teams had the chance to win the division but North Merchiston were the ones celebrating in the end. A place on the top table of Edinburgh youth football awaits them next season. Team secretary Colin Steedman hailed the team's achievements, after success in the League Cup as well as the league. 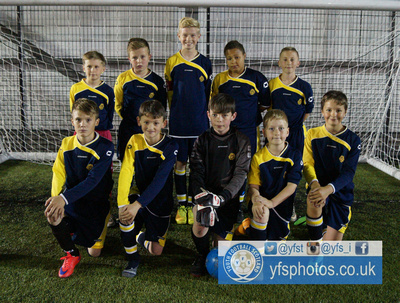 "For the third consecutive season the boys played in Division 2 of the SERYFA at Under 15's. As well as winning the league they also won the League Cup recently [May 8th] after beating Livingston 3-1 in the final at Saughton Enclosure," Steedman told Youth Football Scotland. "I should give special mention to the coaches Harry Connor and Dave Newman. This was their first full season in charge of the team and their aim at the beginning of the season was to see if the team could win something. To win a league and cup double was a fantastic effort from them and all the players involved over the whole season." Consistency was the key for the team this season, and a slight slip in the run-in was dealt with well by the Harrison Park-based team. "The boys have generally been very consistent this year in terms of winning their games as the league table shows with only five defeats and a draw from 28 league games. Three of these defeats were on the run-in which made for a very tense and exciting end to the season with any one of four teams in with a realistic chance of winning the league with four or five games to go," Steedman said. As for the key matches, Steedman could not look past those vital games against Bonnyrigg Rose. A crazy pair of results led to North Merchie winning the league by a single goal. "The easy answer to that is the 8-2 win against Bonnyrigg Rose in our first league game against them this season and the 6-1 defeat with only three games to play. I say that because in the end the league was decided on the head to head with them and we edged it 9-8 on aggregate," Steedman said. Despite the loss to Bonnyrigg, the team's resilience in that match to restrict a rampant Bonnyrigg team proved crucial to the title win. When asked what the players have learnt this season, Steedman said: "Never to give up and think all is lost. The boys were 4-0 down at half time to a much changed and impressive Bonnyrigg Rose side but managed to go out in the second half and restrict the damage to a five-goal defeat. Knowing we'd beaten them by six goals in our previous league game, it proved to be decisive." "We've still to have our player of the year winners announced yet but for me Andy Towns and Nathan Gilmour have had very good seasons. There are a few more I could mention as well but I'll leave it at that." Congratulations to North Merchiston 15s, 2014-15 SERYFA Division 2 champions! Edinburgh City Whites Under 16's were presented with the South East Region YFL Division 2 League Trophy and their league medals by former Hearts, Rangers and Scotland player, now Sky Sports presenter, Neil McCann. City finished top of the pile, three points ahead of runners-up Newcraighall Leith Vics and four points clear of third placed Edinburgh United in what was a hotly contested division. Fifteen wins, three draws and only two defeats made good reading for the men based at Forrester High School. The home record was impressive as they went undefeated with only Edinburgh United able to leave with a point throughout the season. The champions began the season without a recognised goalkeeper and head coach Mike Murphy was full of praise when he said, "the start of the season saw us having to ask outfield players to step into the breach for around ten games and they did so brilliantly. Aided by a good defence in front of them, they coped very well. "Our first game of the season saw us only have 11 players available with a stand in keeper, but we won the game 1-0 which was very pleasing." Mike went onto explain "Over the course of the season we have had many excellent performances from players like Callum Doig, Matty Downie, Mikey Murphy, Ethan Rae, Sam Thompson, Owen Chan and Cameron Wells to name but a few." Luckily a keeper was found and Darren Lindsay joined the team from Edinburgh City 99's and Mike was very complimentary of his keeper's performances over the season. "Darren Lindsay has had many games with not a great deal to do but when he's been needed he's responded very solidly, which is a sign of a good goalkeeper." Every team needs a leader and even though he has not always been available, Mike had nothing but compliments for his skipper. He said: "Our captain Tommy Walker has missed around 10-12 games through injury or suspension. However, when he's fit and available for selection he's been fantastic, both leading the team and orchestrating games with his play and determination to win." Reluctant to single out one player, Mike did have a special word for David Gibson who they signed towards the end of the season explaining, "David played eight to ten games and he chipped in with two massive goals, both against North Merchiston and both times we came from behind to win late on, showing the character and never say die attitude of the team." After being asked about his thoughts for next season, Mike replied positively. He said, "We are looking forward to the challenge of next season and we will grow stronger as a team." When questioned on the step up to the first division the head coach remained very positive, commenting, "We hope to add two or three players to the squad for the step up to the first division but I am very content with the players we have as we have a good tight knit squad but its always nice to add a few new faces. "We have played a few first division teams in cup games throughout the season and had good results against them. We have also been a bit unlucky particularly against Tynecastle, where we were unfortunate to fall to a 2-0 defeat." Apart from losing to Dunbar the only other thing out with the League that Mike found frustrating was losing the League Cup Final against Edinburgh United. He stated, "It was a major disappointment against a team who in our previous three games couldn't beat us. We let ourselves get beat by the occasion in the final but we will learn from that. "Although winning the league was our priority it would have been nice to have added another piece of silver ware. At the end of the day we achieved what we set out to do, so after all is said and done we achieved our goal and are proud to be crowned Division 2 champions 2014/2015." Mike finished of by thanking his sponsors when he said, "football is not cheap and I would like to thank Fabios Restaurant and Dunedin Properties for their sponsorship and support they've given us this season." With the hosts missing several key players for the originally scheduled Sunday fixture, Dunbar sportingly agreed to travel across the Lothians and into the Pentlands for a Thursday fixture at Bog Road, Penicuik. This was certainly no meaningless end of season fixture with Dunbar sitting two points above their hosts as both teams vied for third spot in their final league game of the season. The travel gods conspired against the East Lothian side who encountered traffic problems en route, but the Dunbar fleet of cars skipped through Dalkeith and arrived in time for a short warm-up before the planned kick-off time. With Brunton suffering a bruised foot while practising his rabona in his own living room, Readman unavailable and Gallagher’s kit and boots stranded on the wrong side of a freshly painted staircase, the Seasiders travelled with a fired-up squad of just 12 players. Dunbar had taken the honours in the league game played earlier in the season but this looked a much-changed Cuik who looked a physically strong side, and had put together a good sequence of results of late. Indeed, the first half was short on real quality but it was an engrossing match with a great physical battle and a very vociferous home crowd which cheered and appealed for every decision. This seemed to spur on the Dunbar players as much as the home players and the visiting crowd rose to the occasion too. Dunbar were playing down the slope to begin with but were largely restricted to long-range efforts on goal. Foggo was put through but his shot from range was easily gathered by the home keeper. Penicuik had their first effort when Knox was adjudged to have overstepped the mark and brought down his opponent at the edge of the box. Purves savoured his first touch of the match and he too collected with ease in the visiting goal. Dunbar’s main threat stemmed from the right with an attacking full-back in McLean always keen to link and overlap with Cooper ahead of him. Foggo was adjudged offside when the first bit of quality appeared with a neat through-ball from Dixon. Knox and Sutherland in the centre of the park were controlling the midfield battleground and they both had similar opportunities within a few minutes – winning the ball, advancing forwards and shooting from range. On both occasions, the keeper positioned himself well and saved with ease. The best chance of the half fell Dunbar’s way when the home keeper gathered a pass-back with Twist putting him under all sorts of pressure. Foggo tapped to Dixon whose low shot was charged down. This was met by the kind of celebration from the home touchline normally associated with a cup final winning goal. Dunbar were largely untroubled at the back. McLean looked completely at home in the right-back area, Hall was winning tackles and distributing well, while Pickles showed how key he is to this team, stepping in to the sweeper role after playing right wing, centre midfield and full-back over the last few weeks. Hood, then Beddell-Jones, at left full-back were effective in cutting out the main threat from the home side – the skilful and pacy right winger who looked capable of causing problems. Despite dictating play and dominating territorial possession, it was the home side who took the lead against the run of play. A ball from the midfield was played through to the right winger who took full advantage of the fact there were no linesmen and sprinted through and finished well into the far corner. The half time whistle blew with the home side 1-0 up. Dunbar have faced this situation before and such is their strength of character and great teamwork, they looked unfazed at half time but certainly up for the challenge. Indeed, there were only two minutes played of the second half when Twist outfoxed his man and was crudely stopped in his tracks. From out on the right, Mclean delivered a superb ball in. It soared towards the back post where the unlucky number five, with Knox breathing down his neck, could do nothing but knock it past his own keeper. This time is was Dunbar’s time to celebrate enthusiastically. Dunbar looked like threatening again when the keeper spilled a shot. Knox was in attendance but the referee gave the benefit of the doubt to the keeper and awarded a free kick. The second half turned out to be as exciting as any game witnessed this season. The Dunbar coaches picked up on a slower-paced back four and brought Hood back into the midfield, with Cooper and Dixon forming a very pacy attack. In defence, Pickles and Hall won ball after ball while Mclean tackled and distributed with some style while Beddell-Jones continued where he left off last week. The match reporter’s pen ran dry before writing out how many times he made a crucial challenge or won a tackle when odds looked against him. There was still ink in the pen and able to record a fantastic Beddell-Jones clearance header from under the crossbar as the home side looked to gain advantage from the wind and the slope. Penicuik then took the lead – they had a series of corners and looked a threat. Hood managed a bullet header from the near post from one of them that sent him spinning while on another, the ball was cleared out. The Dunbar defence pushed up, and the midfielder simply lobbed it back in towards the Dunbar goal. Keeper Purves has rescued his teammates on a number of occasions this season but he momentarily took his eyes off the ball, watching the striker in an offside position instead and he could only palm the ball back into the net. Such is the respect the players have for their keeper, they were quick to rally around and help him erase the error. Dunbar equalised a few minutes later and, in fact, Purves had a hand in the goal. His accurate kick saw Dixon with extra spring in his step bravely win a header. It was route one; with Dixon flicking on. Cooper anticipated the aerial win and was through on it in a flash. His first touch looked heavy but such is his pace, his second touch regained control while the third was a delightful flick over the keeper Messi-esque style with his so-called weaker left foot. Both teams were up for it now and the noise from the crowd grew louder. Dunbar looked to use their one substitute to give some of the key workers a five minute breather – Hood, Foggo, Twist then Knox all rotated in and out of the action. Shortly afterwards, a long diagonal ball from the passing expert Sutherland saw Cooper burst up the left. The keeper brought him down from wide out and fully 25 yards from the goal. Foggo marched up with one thing on his mind. He has been in this situation before but even the Dunbar crowd could not believe the manner in which he blasted his effort long, hard and true into the far top corner of the net and silence the home crowd. Dunbar had taken the lead for the first time in the game with the whole team involved in the goal celebrations. Dunbar looked to see the game out now and Beddell-Jones and Pickles in particular threw their bodies on the line as Penicuik pushed bodies forward. With a minute of the game remaining, another dangerous corner was delivered and a flick of the left leg saw the ball diverted rather fortuitously past the diving Purves and into the corner of the net for the equalising goal. Dunbar maturely held on with Beddell-Jones cleverly drawing a foul from his opponent, and the referee’s whistle sparked scenes of celebration as the Dunbar side clinched thirrd place. The 3-3 final scoreline was a fair result with both teams putting in a mountain of work. The Dunbar celebration was worthy given the fact the young Dunbar side were second bottom with one point from their first seven games. It has been an incredible turnaround and one which makes the start of the new season all the more exciting.